Rich pink flowers produced in profusion. 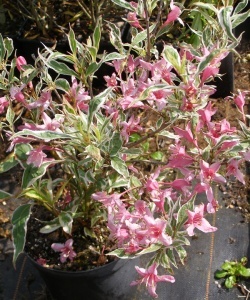 Small, narrow white-margined leaves with hints of pink and cream. 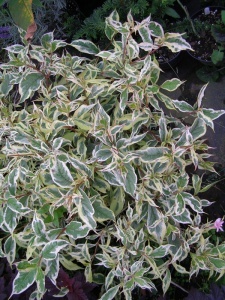 Lammas shoots have a more yellow variegation. 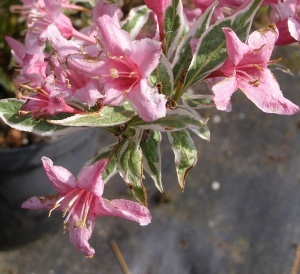 Small shrub to 1.5m. June/ July. 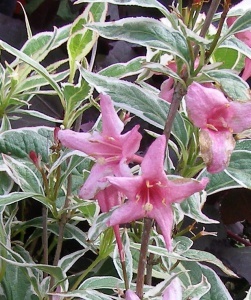 Any soil in sun or part shade. 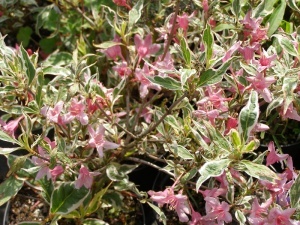 From Graham Thomas and different from the larger, broad-leaved, cream-variegated 'Variegata'.